This independent guide to the TOGAF 9 Level 1 Foundation examination concentrates solely on the syllabus subjects for the exam. It cuts the TOGAF documentation down to size allowing you to concentrate on the specific areas you need to study. 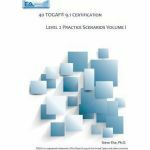 The guide doesn't skimp: it contains over 200 questions on the full range of topics in the syllabus to ensure that you will have confidence in answering the exam as you work through the guide. 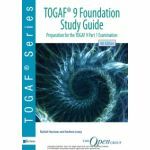 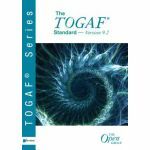 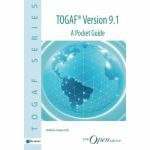 If you are currently struggling to wade through the 750 pages of TOGAF documentation, or just want to understand the TOGAF 9 Foundation subjects quickly, then the TOGAF 9 Foundation Exam Study Guide is what you need to help you.